The once iconic photography firm, Eastman Kodak Co, has been warned it could be removed from the New York Stock Exchange if it fails to boost its share price. 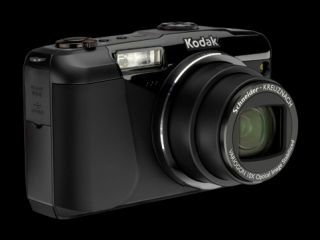 Shares in Kodak fell by more than 80% in 2011, with its average closing share price below $1.00 for 30 straight days leading to the warning from the stock exchange. On Tuesday, shares closed at 76 cents per share. The exchange has given Kodak six months to turn its fortunes around, but in a statement, Kodak said it may not be able to meet the requirements, "given the liquidity challenges confronting the company and the recent market experience with our listed securities." Kodak also needs to have a closing share price of at least $1 on the last day of trading day of any calendar month and have an average closing price of at least $1 over the 30 trading-days prior to that. Kodak has seen its fortunes take a hit, with $862 million in its cash reserves at the end of September, down from $1.4 billion a year earlier. It warned in November that it may not survive 2012 if it couldn't find a further $500m. At the very end of 2011, three of its directors resigned, leaving it with 11 board members including the chief executive Antonio Perez. The company has been staving off rumours of bankruptcy for several months.